This map shows territory of Russia. interesting map of Liski 1 cm to 1 km for you. actual map of Imeni Pervogo Maya и OziExplorer calibration presented. actual map of Zaluzhnoye for you. free map of Yudino 1 cm to 1 km for Garmin. map of Yekaterinovka 1 cm to 1 km displayed. interesting map of Volchanskoye 1 cm to 1 km download for free. free map of Vladimirovka with gps calibration displayed. detailed map of Verkhniye Marki и OziExplorer calibration for Garmin. topographic map of Svoboda 1 cm to 1 km here. actual map of Sonchino with gps calibration free download. detailed map of Shchuch'ye 1 cm to 1 km here. topographic map of Priyar with gps calibration displayed. 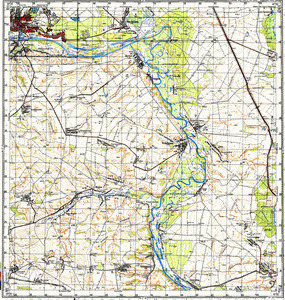 topographic map of Pokrovka displayed. detailed map of Petrovskaya presented. actual map of Petropavlovka presented. detailed map of Peskovatka и OziExplorer calibration for gps. interesting map of Peski with gps calibration for you.